Happy World Osteoporosis Day! Let’s talk about what you can eat to help keep your bones strong. Thanks to the folks at Sunsweet, an official partner of World Osteoporosis Day, for sponsoring this post! All opinions are my own, as always. Did you know that today, October 20, is World Osteoporosis Day? If there’s any day to focus on fine-tuning your eating plan to help keep your bones strong, today’s the day! Sunsweet recently conducted a study of 1,001 Americans, asking them questions about bone health. The findings are super interesting. Survey finding: Only 40 percent of Americans are concerned about bone health—and just 38 percent of millenials and 39 percent of Gen X’ers are familiar with osteoporosis. I’m a Gen X’er myself, and I’m one of those 39 percent with knowledge about osteoporosis. Just in case you aren’t, though, let’s do a quick primer: Osteoporosis is a disease of the bones, caused by when your body loses too much bone, creates too little bone, or both. The disease can lead to weakened bones and breaks (not fun!). About a third of women and 20 percent of men over age 50 will break a bone because of osteoporosis, and an osteoporosis-related fracture happens every three seconds worldwide. That’s why it’s important to start focusing bone health now, so you can help prevent those bone breaks later. Survey finding: More than 90 percent of Americans associate the nutrient calcium with bone health. Getting enough of calcium is essential for bone health throughout every stage of life. Not taking in enough of the mineral puts you at risk for osteopenia, a condition that can lead to osteoporosis. You can get calcium from foods including dairy (like cottage cheese, milk, and yogurt), calcium-fortified orange juice and cereal. Other nutrients—such as potassium, magnesium, and vitamin K—are also important for bone health, and these nutrients can all be found in prunes. Potassium may aid bone health by helping to heighten bone mineral density, decreasing the risk of bone breakdown. Magnesium is a mineral important for bone structure, and vitamin K helps with bone mineralization. Survey finding: Only half of Americans are currently taking any steps to prevent bone loss—and only 12 percent of survey respondents consider themselves knowledgeable on how diet, exercise, and other factors affect bone health. Make it an easy breakfast: I’ll add a ¼ cup serving of Sunsweet Amaz!n Diced Prunes as a topper to my morning oatmeal, cottage cheese, or Greek yogurt. 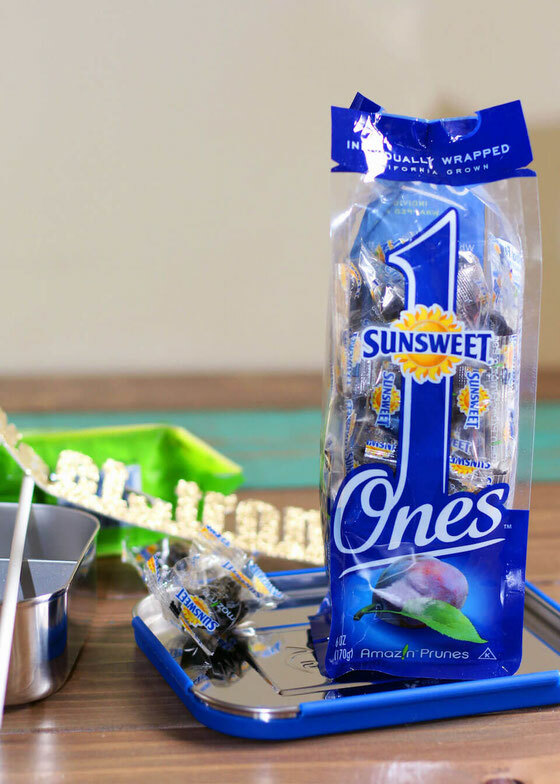 Carry them with you: I like to bring five to six individually wrapped Sunsweet Ones with me in my purse—or sometimes in a bento snack box so I can eat them while on the go. Cook with prunes: Muffin and cookie recipes aren’t just for raisins! 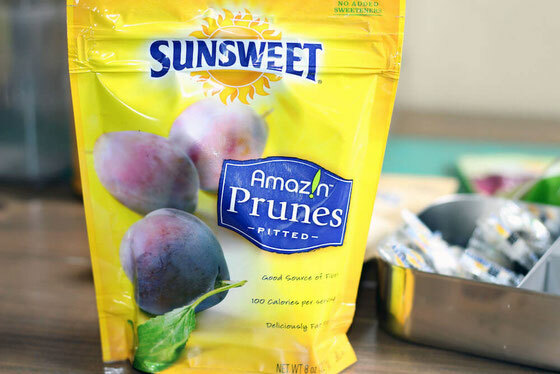 In any recipe that lists dried fruit, swap in Sunsweet Amaz!n Diced Prunes to add some bone-health-helping goodness. You can also exercise to help prevent bone loss. My favorite exercises are walking and Pilates—and weight-bearing or muscle-strengthening activities like these (as well as running, yoga, and weight lifting) help strengthen bones. Spread the word: Take a photo of you doing something healthy for your bones and share it on social media, using #SunsweetStrong. What are your thoughts on this topic? How do you eat to keep your bones strong?